You're a new chef heading off to your first job, excited for what awaits you—only to find out that your boss is, in fact, a giant sentient onion who's brought dead bread back to life. Yes, bread can die apparently. And the onion's hoard of zombie carbs is looking to feast. Welcome to the weird, implausible, and wonderful world of Overcooked 2. 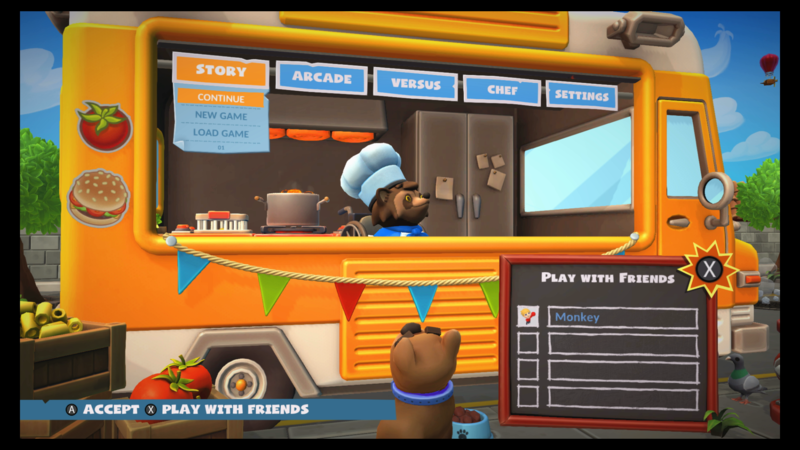 The original Overcooked, released in 2016, was a party game made to be enjoyed with other players. The game taught you each recipe, one after another, before finally dropping you into the deep end and throwing you into a chaotic kitchen with more food than you could (probably) handle. You and your ragtag group of cooks needed to work together to get meals out on time to your hungry patrons while trying not to destroy your friendships along the way. The only way to do this was to rely on everyone to do a job correctly to finish a dish. If one person screwed up, however, the rest of the pack suffer as a consequence. 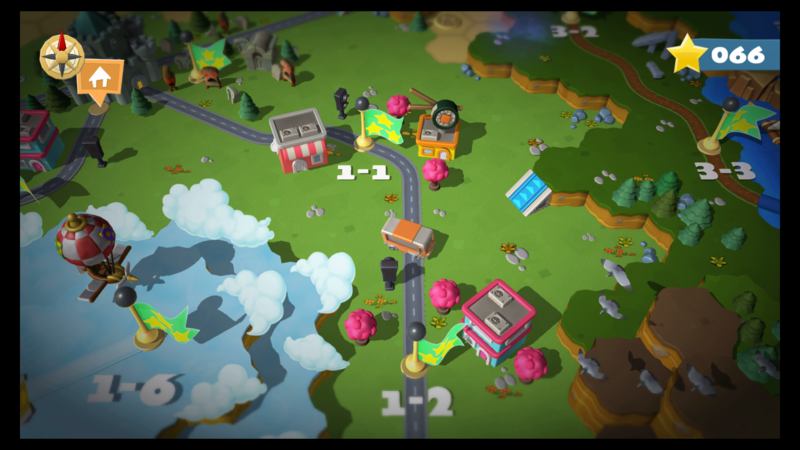 With Overcooked 2, Ghost Town Games added more to the now well-known formula by including new mechanics, levels, and ways to rage at your friends all over again. The game look to be a worthy successor to the original culinary classic. In Overcooked 2, you and your friends are a group of chefs tasked with creating dishes as quickly as possible to make as much money as you can. You have a bunch of ingredients, cutlery, and everything else you need to make dishes at a crisp pace—but a looming clock that is constantly ticking down is there to keep you on your toes. To make a dish, you have to find the ingredient on the map and chop, cook, boil, steam, fry, or prepare it and then place it on a plate. After all the ingredients are prepared and the dish is ready, you need to serve it to your hungry customers. Once the crowd has had their meal, you need to grab the dirty plate, clean it, and get back to cooking. The only problem is, a lot of things tend to go wrong when you play Overcooked 2—which will have you screaming at your friends while you play. There are also times when cooking a dish can go terribly wrong. If you leave rice or meat cooking for too long, it can set the kitchen on fire, forcing you to dispose of the meal and grab a fire extinguisher before the restaurant burnsdown. So what is exactly different with Overcooked 2? Overcooked 2 feels like a natural progression from Overcooked and adds a bunch of new recipes and mechanics. For instance, you can throw food at each other and dash faster across the kitchen to get to an area quicker then before. The same goes for recipes. Originally, you could only cook simple things like burgers, pizza, and the classic onion soup. Now, however, you have a lot more to keep your eye on with culinary items like sushi and burritos complicating matters further. There is also a story to Overcooked 2, but not one that is made to make sense. It begins with something about an oversized onion that raised the dead back to life to find the best recipe in the world... but it's only ever touched upon in the in the tutorial level and is never really referenced again. For most of the main campaign, you'll be taken to different kitchens with their own quirks. You could be in a kitchen in Tokyo constantly having to navigate your way past crowds, or in a fantasy castle with teleporter doors. Every level is different and it constantly keeps you on your toes. In one level we were flying in a hot air balloon in a regular old kitchen only to suddenly drop from the sky after a few minutes onto a wooden barge, that was on fire, in the middle of a river. We initially thought that we had failed to level but, nope, the game just throws another curve-ball at you and forces you to learn on the fly. The biggest feature added to Overcooked 2, however, is the inclusion of four-player online multiplayer. While we weren't able to partake in an online match during our play sessions due to the game not being out yet, there are an abundance of multiplayer options available, including arcade, versus, and story co-op. Overcooked 2 is set to release on Aug. 7 on multiple platforms. Between all the recipes, the chaos, and the multiplayer fun on offer, the game is promising to be a great party experience for everyone that plays it. Disclosure: Our Switch copy of Overcooked 2 was provided courtesy of Team 17.